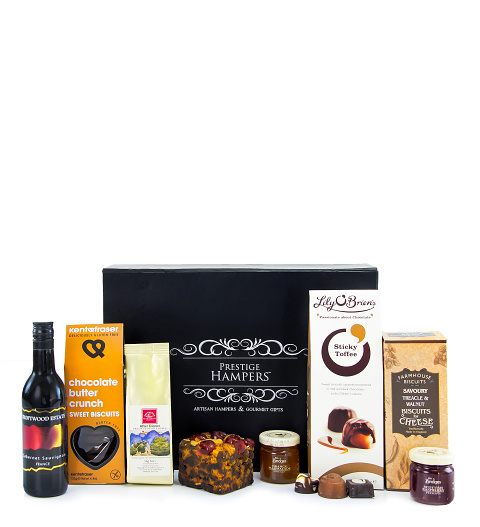 This gorgeous hamper includes a bottle of Cabernet Sauvignon as well as chocolates, biscuits, and more! Perfect for birthdays, anniversaries, or any other occasion. Professionally packaged in an elegant black presentation case for that perfect finishing touch.